KAMPHAENG PHET: The Student Loan Fund (SLF) has deferred seizing the assets of a woman school director in Kamphaeng Phet province who acted as a guarantor for 60 students seeking loans after it learned that at least 21 of the students failed to repay their debts. 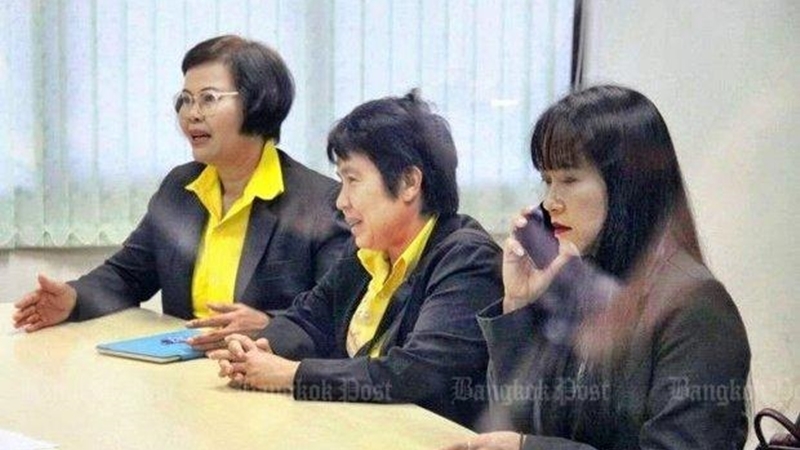 SLF manager Chainarong Kajchapanan said the postponement was meant to ease the plight of Wipha Banyen, who is facing a number of lawsuits and court orders to have her house and land seized. That happened because 21 students who she guaranteed from 1989-1999 failed to make their repayments. Mr Chainarong said the office has traced all 21 and found that none have assets to service their debts. He said Ms Wipha must eventually be held liable. As of now she has reportedly spent nearly B100,000 of her own money to repay four of the defaulted loans in a bid to keep her house and land. The latest court order to seize her property, worth a total of B1.6 million, came last week. She has to cough up B300,000 to avoid their repossession. Ms Wipha held a press conference on Tuesday (July 24) at a hotel in Pathum Thani’s Klong Luang district during which she relayed her plight and asked government agencies to help her get out of debts she did not cause. “I taught my students to do good deeds and hoped they would be socially responsible after they finished their studies. But what I received in return was different,” she said with tears welling up. “I want my students whose loans I guaranteed to know the heavy burden I’m shouldering. It is my hope that those who are now employed will help ease that burden. I don’t know the legal execution procedures for seizing my assets,” she said. Unless the borrowers repay, the interest will keep increasing, she said. Her house and land were passed on to her from her parents. She said she also tracked down the parents of 21 students and found they are all more or less destitute. “They didn’t have any assets they could sell to repay the debt I now owe,” she said. Ms Wipha said later that two of her former students contacted her after the press conference and promised to help out. Since 1996 the SLF has lent B570 billion to 5.4 million students. About 800,000 have repaid them in full. Another 50,000 have either died, become disabled or were assigned to the non-performing loan group. Sounds like someone is speaking from experience! Yes Thainess is on full display here, it's called taking the piss. Please, get down off your high horse. "Titan of Education ?" How exactly did she earn that title? I will donate to her goFundMe account as soon as I get back some of the millions owed to me by crooked Thai's. "Thailand gets already enough of my money"Of course!Probably given to the ladys at the bar in a desperate attempt to win somebodys affection! Oh don't worry I'm here but I wouldn't give her a nickel, I didn't take her act of kindness and crap all over it, plus Thailand already gets enough of my money, this is simply the very essence of Thainess on full display. Any thai teacher who accepted guarantee as a student( sure with a wai) should be forced by thai law ( just pick one of the many thai laws) to release this nice lady of her burden. Pay back your dept to her. Show your back bone. Keep your promise. Keep your face. For years now, at least the more than 4 years Army government, there was no teachers reform to stop their  crazy financial thinking. Educated people, taking loans, not able to pay back? Does it say something about thai teachers education? Glad my children are not in their educational hands. Where are all the wingers and whiners who troll this site? Here, they are presented with a chance to make a contribution to help someone in need rather than complain and their response is crickets. Why isn’t there a GoFundMe web site for this titan of education and social responsibility? I would like to make a personal donation to Ahjan Wipha Banyen. Where might I do that?